As should be apparent to anyone who is a member of BBC, there are some things we do well, many things we do okay, but few things that we do great. In saying that, I am not condemning the church or any of its members, past or present. I simply mean, we have reached a place in our life as a church where some of us are involved in lots of things, others of us are involved in a few things, still others are involved in hardly anything. And in all of it, nothing is really being done as well as it could be done. Maybe I should back up a little. After all, what are we supposed to be doing as Christians living in a Christian community the Bible calls a church? Amidst the many important examples, instructions, and commands in both the Old and New Testaments, three things rise to the surface as being the basics of the Christian faith. As Christians, we should – love God, love others, and make disciples. “You shall love the Lord your God with all your heart and with all your soul and with all your mind. This is the great and first commandment. And a second is like it: You shall love your neighbor as yourself. On these two commandments depend all the Law and the Prophets” (Matthew 22:36-40). There it is for all to see. The two most basic commands for the Christian life – love God and love others. Of course, these are not easy commands to fulfill. Loving God with all of one’s being, and loving others with the same kind of interest and concern as we care for ourselves is often a tricky and difficult thing to do. But that is what we are called to do. And the only thing that makes such love possible is the gospel of Jesus Christ transforming our lives. Thus, having been saved from our sins by the death of Jesus, having the promise of eternal life lived out before us in the resurrected Christ, having been called from spiritual darkness to light, we are now called to respond to God’s mercy and grace with loving obedience. As Christians, we do not obey in order to be accepted by God. Rather, we obey because we have already been accepted by God through the work of Christ. And how does God call us to obey? What does God want us to do? One of the most loving acts of worship to God is to tell others about what he has done for the world through Christ. The most loving act of kindness towards others is to tell them about what God has done for them in Christ. Thus, we show our love for God and others by making disciples of Jesus Christ. Making disciples involves what is commonly called evangelism and discipleship. We begin by telling lost people about Jesus. We tell them that they are sinners in need of saving from God’s judgment. We tell them that Jesus came to save sinners. Jesus said, “For the Son of Man came to seek and to save the lost” (Luke 19:10). After people trust Jesus for the forgiveness of their sins, then we must teach them how to live as a Christian. We must use God’s Word to ‘rewire’ their minds to stop thinking like the world and start thinking like God’s people. Paul says we must use the word so that they will “not be conformed to this world, but be transformed by the renewal of [their] mind,” (Romans 12:2). That is the essence of discipleship – teaching Christians how to live as Christians. Now, back to where we were. We are called to love God, love others, and make disciples. Are we doing this well? Are we doing this with the enthusiasm, sacrifice, and commitment that is worthy of the God who saved us? Some of us might be. But as a church, I think it is clear that we are not. What we need most is not more programs, more money, or more hype. What we need is a renewed commitment to the basics of the Christian life – loving God, loving others, and making disciples. My hope and prayer is that through the changes I have put together, we will be able to come together as a church and do these things better than we have ever done them before! Making changes is never easy – especially in a church. I know from the outset that some people will immediately not like these changes. Others will love them. Some will be totally indifferent. Let me just say that this is something I have struggled with; in some ways, I still struggle with it. Before putting together the plan for these changes, I read many books on the kinds of changes we are attempting to make. I read the Bible, especially the New Testament, looking for models and direction. I talked with other pastors. I asked for your input through a church-wide survey. And I prayed, prayed, and prayed some more. This is the fruit of that labor. I’m not sure if it is perfect (in fact, I’m sure it’s not). But I do think it will work. And more importantly, I think it will honor God by allowing us to accomplish the three central callings on our lives as Christians – loving God, loving others, and making disciples. All in all, these changes were made for several reasons. Though mainly, they came down to two major concerns. First, how could we better live as a church community? And second, how could we encourage more involvement? In our church, there is a lack of consistent involvement because of the busyness of many of our members’ lives. In some ways, busyness is not a legitimate excuse. But that is the reality of where we are at now. My concern is not that we have a huge number of ministries and activities as much as we have lots of people involved. I want to get the greatest involvement from the greatest number of people. Instead of having a few people be involved in lots of things, I think it is better to have almost everyone involved to a couple of things. First, we move Sunday School from before the Sunday morning worship service to Sunday evening and transform it into small groups. Many do not attend our mid-week discipleship classes. This is due in part to other life activities, work, etc. Some of it is due to choice. The vast majority of our members will have Sunday evenings free and so this is the logical choice for our meeting time. Again, the small groups will meet around the city in members’ homes. They will serve as a means of discipleship and outreach. Then, secondly with small groups on Sunday nights, our prayer gathering will then be moved to Sunday mornings before the worship Service. This will, I hope, make this event more accessible to some who haven’t come before, but are used to coming to church before the worship service. The prayer time will not carry over in what has become the typical ‘House of Prayer’ format. Not that there was anything wrong with the format – it may return again. But the environment will be different – more relaxed and informal – allowing for people to come for the full time, or later for part of the time. Thirdly, without Sunday School before the worship service, we will be able to move the service up to a 10:30a start time. Having the service start at 10:30a will make it easier for visitors, and will allow us a little more time during the service for more singing, more prayer, etc. Hopefully, we will not feel as rushed as we sometimes do. Fourth, we will no longer have any midweek events. This will certainly come as a disappointment to some. Many will not miss them at all because they do not come now. Either way, the emphasis will be on committing to the Sunday evening small groups. Fifth and finally, our children’s and youth will be dramatically altered. Specifically, two changes will be taking place. We will be restarting our ‘children’s worship’ during the morning worship time. This time will be devoted to Bible teaching, praising God in song, praying, and learning about missions – all in creative ways designed for children K-4th grade. This will combine the best of our current Sunday School program and mid-week missions class. The hope is that current and new teachers will step up to rotate teaching for this service. Along with the changes in the children’s ministry, our youth group will also be pared down. Instead of having a weekly meeting, we will have a monthly meeting specifically for teaching and then (hopefully) a monthly fun activity. We hope that our parents will begin integrating our youth more into the life of the church in others ways (like small groups when appropriate, or as ministry helpers when appropriate). “Hear, O Israel: The Lord our God, the Lord is one. You shall love the Lord your God with all your heart and with all your soul and with all your might. And these words that I command you today shall be on your heart. You shall teach them diligently to your children, and shall talk of them when you sit in your house, and when you walk by the way, and when you lie down, and when you rise. You shall bind them as a sign on your hand, and they shall be as frontlets between your eyes. You shall write them on the doorposts of your house and on your gates” (Deut 6:4-9). *not actual days, just representative of where and how often in the month the gatherings might occur. I have already touched on the reasoning for some of the changes I am proposing we make. Now, I want to take some time to explain more fully what I think will be the biggest challenges to overcome in our thinking about these changes. Why are small groups so important? The biggest change will be the move to small groups. By the time the changes are in place, they might be called community groups, home groups, life groups, care groups, or some other kind of group. For now, we will simply call them small groups. Think of them as Sunday School plus. That is, everything Sunday School is supposed to be plus something extra. Small groups will take place in members’ homes, and consist of Bible study, discussion, prayer, and fellowship. They will not only provide a more relaxed environment for discipleship, but serve as a low-pressure way to invite lost friends into our church. Whether it is the desire to sleep in, memories of a bad experience, or a fear of the unknown, many will not come to a church service on Sunday mornings. But many will come to a small group. It is smaller, more casual, and there will be food! These groups will become the front door of BBC for many of our future members. They will also be the place to grow deeper relationships with other members. And that’s just some of the things the New Testament says! Some of these things can be done during the Sunday Worship, but some cannot. And most cannot be done to the level God wants. Small groups allow us the opportunity to spend time investing in each other’s lives. They allow us to grow closer together, use our gifts, display love, disciple each other, and share Christ with the lost in a way that is not found in any other program. From studying the New Testament, from statistical information from current churches, from anecdotal evidence from other churches and friends, I truly believe that it’s the best way for BBC to move forward. I believe this is best way for us to grow closer as a church, and the best way for us to grow in number as a church. What we parents do with their children during the small group meetings? Currently, I see three options for parents and small groups. The first and easiest way to provide for the needs of our children is to have the ladies (and maybe older children) take turns watching them each week. Parents should bring their children to the small group and shortly before the meeting begins, they should be taken to another room by adult watching them. Once the fellowship time begins, everyone should join back together. Depending on how the situation is, children may also be welcomed to the prayer time. For safety reasons, the room should be easily accessible by anyone in the group should they want to check in on their child(ren). Remember, we want to serve our parents, so we expect everyone who is able to help watch the kids to take a turn in rotation. No one should watch the children more than a week at a time. The second option is for the parents of the group (and any others who want to help serve the parents) to pool their resources and hire a sitter for the night. Again, to avoid people driving all over the place, the easiest thing would be for the sitter to be brought/drive themselves to the home hosting the small group meeting. Other options might be possible. But a few things should be remembered. First, no one parent should be expected to do all the work. Second, whatever arrangement is made should be easy and agreeable for the entire group. And third, the safety and well-being of the children should always be a priority. Remember, this is part of us encouraging and serving one another and lost people who may come. Some of you will have teenagers. We would love to see them involved in the small groups! Just because they are still a youth doesn’t mean they shouldn’t be involved in small groups. A couple years ago we encouraged our youth to attend our Sunday evening discipleship classes and it went really well. Why are there no mid-week events? There will be no midweek service for a couple of reasons. First, they are not well-attended. To that, some of you might say, ‘No churches mid-week services are well attended!’ That is probably true. But what is best for our church? We have teachers preparing lessons, we have money going to curriculum, but only a few people are coming consistently. Is it a waste to invest in just a few people? Absolutely not! That’s why, up to this point, we have continued our mid-week programs even with such small participation. Second, many people are just too busy during the week to attend. When I say too busy, I mean too busy. Many people do too many things and it hinders them from doing the most important thing in their life – become better disciples of Christ, and lead others into becoming disciples of Christ through the gospel. But how do you get half the church or more to stop living such busy lives? I don’t know. But, I don’t think the solution is to keep plowing along, hoping for the best. Instead, I think we should encourage them to be seriously involved in the small groups on Sunday evenings, and slowly see their lives transformed over time. Third, and probably most important of all, is our concern for families to begin experiencing discipleship in the home. This will require more time for the family to be together and more time for the parents to prepare. If we are going to emphasize parents discipling their children, then we need to give them time to do it. 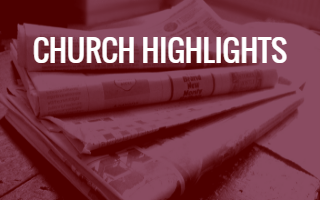 Right now, we sometimes have events happening every Saturday of the month, and a couple of ‘extra’ things such as a committee or ministry meeting on Sunday nights or during the week. Some know they cannot make it to everything, so they pull back from several things and only show up on Sunday mornings. I see the same few people at almost everything we do. I look around and I see tired people; people who need others in the church to step and do something. But that will not happen over night. Furthermore, rather than do several things ‘just okay’ or ‘good,’ I would rather have us do a few things really, really well – even great! That means I would rather have a weekly small group meeting and a monthly outreach event that the majority of our people attend consistently than several weekly events with only a few regular people coming and a large number of people not being connected with the rest of the church. Finally, let me add that just because there isn’t something going on at church doesn’t mean we should be inactive during the week! Take the extra time to invest in the lives of your lost friends and neighbors. Show them the love of Christ in some tangible way, or invite them over to see how a Christ-centered home functions. (That is ministry at its finest!). Maybe you could enter into a one-on-one discipleship relationship with a younger Christian, or a one-on-one evangelistic Bible study with a lost friend? Maybe you can use the extra time to minister to your family by spending quality time together. Or maybe do all of the above at various times throughout the year – the possibilities are endless! Why is there such an emphasis on family-driven discipleship? So, why this shift in emphasis from church-based discipleship to family-based discipleship? A large part of the change came because of the realization of what’s happening in our families and churches. It is an incredibly sad fact that while the last twenty years has seen exponential growth in the amount of degrees given out in children and youth ministry as well as children and youth ministries started in churches, the drop-out rate for so-called Christian youth has also risen exponentially! We are not doing something right! What we are not doing right is raising our children to be disciples of Jesus Christ. Sadly, family discipleship is something that has been neglected for at least two generations in Western Christianity (that is, the USA, Canada, Great Britain, and Western Europe). And the result is that we have an enormous drop-off rate for our children and are no longer the leaders in the Christian world. At one time, the most growth, best discipleship, strongest evangelism was coming from us. Now, it has moved on to other parts of the world, where they are now sending missionaries to us! Part of the reason for these changes lies in the fact that we have abandoned a Christian view of the family and responsibilities that come with it. We have decided to go along with the rest of society instead of choosing to live a counter-cultural lifestyle. Now we are paying the price and must claw our way back. Not back to the top of the Christian leadership, but back to a basic Christian discipleship; back to living how God wants us to live. The key to this is living a ‘family-driven faith’ – fathers and mothers being committed to obeying God by teaching their children about Christ, and showing them how to live as Christians. I fear the truth is that, left to ourselves, we will never do this. So, I am hoping to sort of ‘force our hands.’ If we only offer a few things for our children, the weight will fall to the parents to take up the slack. Remember, we are not asking parents to do anything the God doesn’t command them to do in the Bible. We just want to give them a little push/encouragement in the right direction! I want to end this explanation of where I would like us, as a church-family, go in the future with a prayer. The prayer is two-fold. First, I want to pray that God would bless our efforts. Regardless of whether we are working our jobs, or planning for major changes at a local church, we need God to bless our efforts. With countless prayers offered in the planning, my desire is to continue to bathe this transition in prayer, hoping God will bless our efforts. Second, I want to pray that our members will commit to giving this a try. Throughout every church in the world over several decades, more good ideas have come and gone, more programs begun and ended, more opportunities arisen and lost, because church members will not embrace them. All of these changes will fail if we – as a church – do not commit to them. I am not asking you to like them right away. I am not asking you to sign-off on them for the rest of your life. I am saying, give them a chance. If we as a church will commit to these changes for six months, I think we will be able to see what kind of fruit they will bear. We will be able to see whether or not the practice looks as good as the theory. If all of this proves to be a big mistake, we can go back to the drawing board and find other ways to change what we do to accomplish our calling as a Christian church. But we will never know how well the plan might have worked, if we don’t try it! Please pray with me about our willingness to embrace these changes, believing they will only be good for our church.